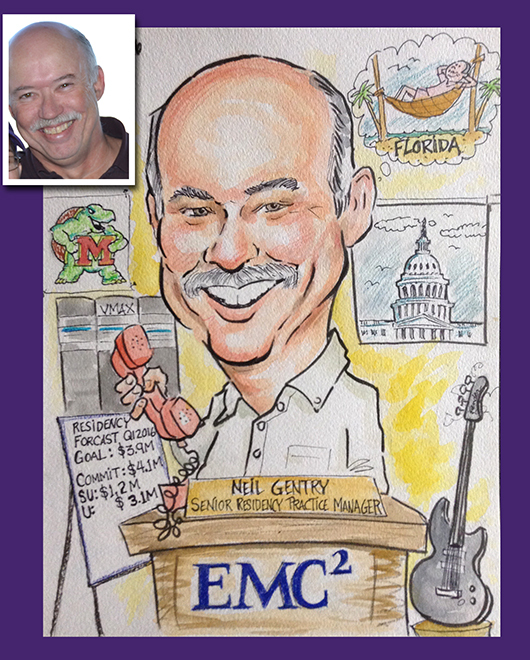 Retirements are a great time to celebrate the retiree with a party with a caricature artist present and/or a retirement gift caricature from a photo celebrating the retiree’s career! 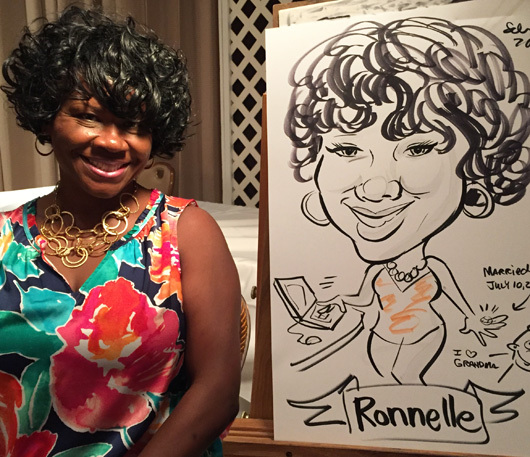 Laura drew live caricatures at a retirement party at Martin’s Crosswinds in Greenbelt, Maryland yesterday. This was through Dee Vinchey Entertainment. 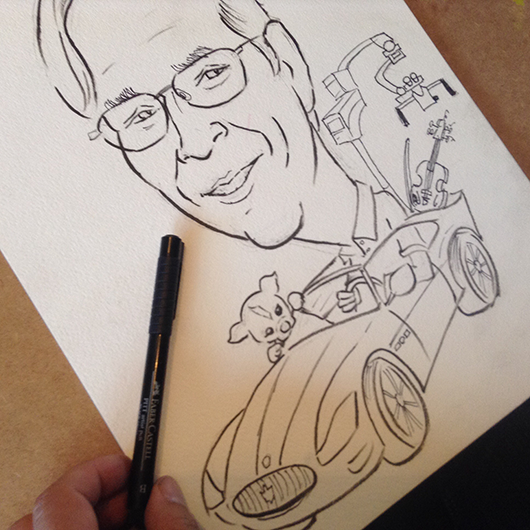 Here’s one of Mark’s retirement gift caricature before adding color and final touches! 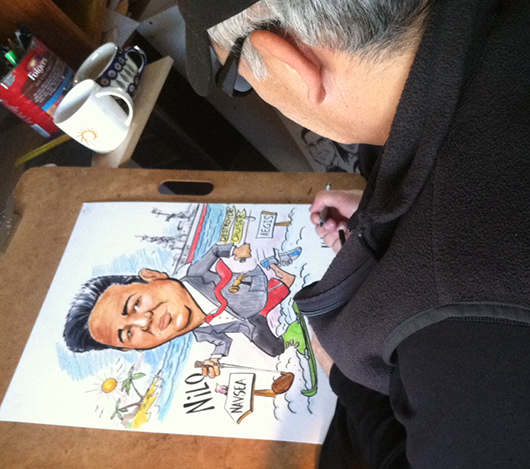 Mark finished up a retirement gift caricature this weekend. 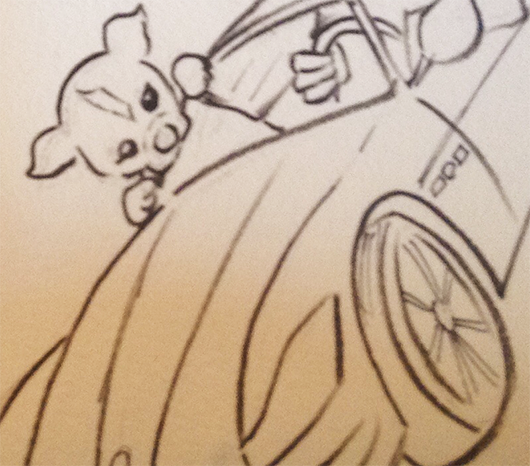 Medium is marker, watercolor, and art stix. Included in the picture were details about the gentleman’s life, including work, hobbies and plans for retirement.